PRESS RELEASE: BFD Oak Custom Expansion Kit features a high-end Yamaha Oak Custom drum kit and bamboo snare. Oak is a great material for a drum shell: it resonates with a solid fundamental delivering awesome power when played. Consequently, the toms sound very full-bodied and the bass drum offers a devastating low-end response. In order to complete this set, a new 'lite' (16-velocity layers) Yamaha Bamboo snare in included. Its crack and strong tone make it very easy to place in a mix. 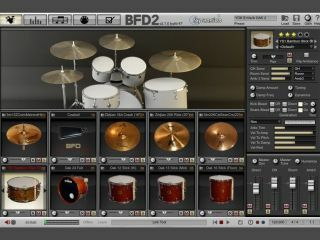 BFD Oak Custom Expansion Kit is a download only product and is available now from the FXpansion web shop.